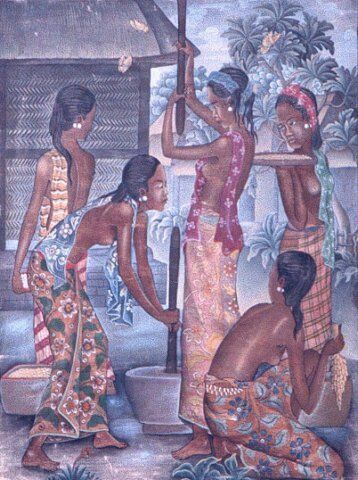 DEWA PUTU BEDIL | Geringer Art, Ltd.
DEWA PUTU BEDIL (Indonesian, 1921-1999). Dewa Putu Bedil was born in Ubud, Bali, in 1921. Bedil was one of the youngest members of the Pita Maha group, which he joined in 1936. With encouragement and instruction from Rudolf Bonnet, he developed a unique painting style featuring an elegant palette of pastel hues. He is often associated with other Pita Maha painters including Anak Agung Gede Sobrat, who also painted scenes of Balinese daily life, dances and ceremonies.